Ever since the first settlers to the New World, the area we currently call New England has proven an abundance of hunting opportunities. The same holds true today. Hunting throughout the region offers everything from wild turkeys to coyote and rabbit. With the spring in mind, here are six things to hunt in six New England states. Furbearers are a common spring hunt in Connecticut. Coyote are in season almost all year. Red Fox are available from the first of the year through the end of February. River Otter can be hunted through March 15th with a limit of eight per year. Beaver season lasts through March at no limit. Mink, muskrat, weasel, skunk can be bagged through mid March at no limit. If you like rabbit, head to the Bay State in February for Cottontail and Snowshoe Hare seasons. From the first of the year until March first head out and bag 5 rabbit per day. Rifles and handguns of any caliber are permitted, but no trapping or netting. Hunting rabbit is allowed from half an hour before sunrise through midnight. If you can’t wait until the fall to hunt deer again, head to Rhode Island where for the month of February zone four opens for the hunting of up to eight antlerless deer. 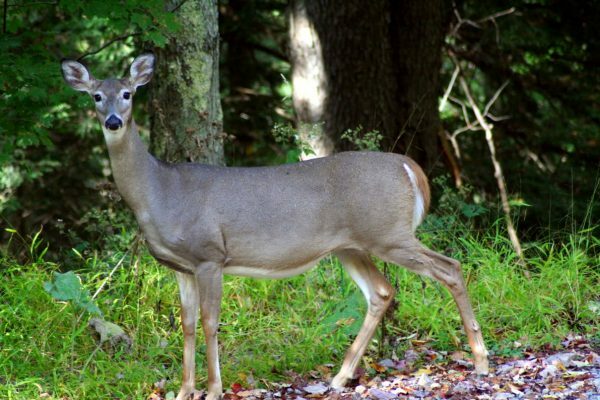 Rhode Island is home to far more deer than it can support, due to its management strategy, in zone four there is no state permit limit. Maine has a limited spring hunting season. Not only is hunting on Sunday forbidden, but in 2017 there will be no spring black bear season. But there are options for hunting in the Pine Tree State during the big thaw. Hunting Crow will be allowed from January 20th through April 15th in 2017. In Vermont, turkey is the only game with a spring season. For the entire month of May two bearded turkeys can be taken statewide. Nut bearing hickory and oak trees tend to provide a good environment for gobblers, as well as working dairy farms. New Hampshire has an estimated 40,000 wild turkeys statewide. The spring season begins May 3rd and ends May 31st, like Vermont’s.